Despite what many critics may think, Sony has found themselves a hit with Venom. 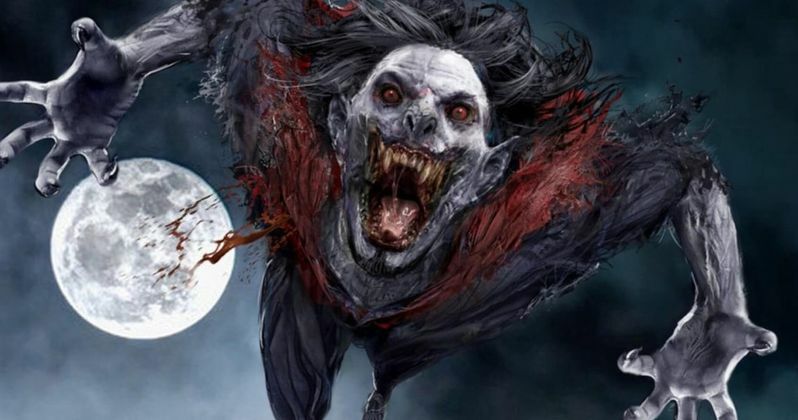 That has given them the confidence to proceed With their Morbius the Living Vampire movie, which will be the next one of these Spider-Man spin-offs to enter production. According to producers Avi Arad and Matt Tolmach, the movie starts filming "more or less" in February. It's been previously reported that Oscar-winner Jared Leto is on board to star in the titular role and Arad confirmed that in a recent interview. Here's what he had to say about it. "Oh yeah. This is the great thing for us now, that an actor like him, and an actor like Tom [Hardy] wanted to have their own character. But the character they love. Both of them, very hard to get them to do a movie. You actually cannot get them. We went in, we sat with them, and everybody told us, 'Oh, ba, ba, ba, ba, ba.' Nothing. That's what he wanted to do." This is not Jared Leto's first comic book movie role, as he played the Joker in Suicide Squad. Though, this will surely give him a lot more to do on screen. Burk Sharpless and Matt Sazama, who are behind amazingly expensive flops like Gods of Egypt and The Last Witch Hunter, penned the screenplay for this Morbius movie. Many fans were upset that Venom didn't end up going for an R-rating. The question becomes, will Morbius do the same? Avi Arad expressed his desire to be able to take his grandkids to these movies, which makes the PG-13 rating appealing. Matt Tolmach then chimed in, explaining that there is no hard line in the sand. "I don't think there's a rule written somewhere in stone that all of them have to be one thing, alright? I think what Avi's saying is right. I think we've all talked about, 'Well, if one of these presents itself in a way...' Look, we have all seen, as you've said, the R-rated versions of these movies now working. So, that's out there. You can succeed to a staggering degree." Even though Venom has already earned $217 million worldwide, there are those that accused the movie of going soft in order to obtain its PG-13 rating. Especially when movies like Deadpool and Logan have proved that R-rated comic book movies can bring in big bank. But Arad insists that they didn't compromise anywhere creatively in order to achieve that rating, while also acknowledging that some of these movies can work when pushing the limits a bit more. "We didn't compromise anywhere. You saw the movies. There is no compromise. That was Venom ... You know what? When you hear Venom...forget Venom. When you hear, Carnage, the only thing you can think of is R. But, if you know his story, if you really know the comic, there's no R here. He's a tortured soul. It's not about what he does, because we never have to show the knife going from here to there, and the blood is pouring. What you have to show is, what is the motivation? Was he born like that, or it's someone we should feel for, because if you are succeeding to make a villain someone you can feel for, jackpot." The character of Morbius got his vampiric qualities after trying to cure himself of a rare blood disease. In the comics, his bites can be deadly and he needs blood to survive, but his victims don't become vampires themselves. Daniel Espinosa (Safe House, Life) has been tapped to direct the adaptation for the studio. Morbius the Living Vampire is currently without a release date. This news was first reported by Collider.